Holidays are a great opportunity to infuse fun and excitement into your classroom. While holiday party’s can be a lot for us to plan, students surely enjoy them and what better way to practice friendship than a Valentine’s Day Friendship Party. It might be a few days, weeks, or months until Valentine’s Day, but right now is a great time to plan a partayyyy. 🙂 A friendship party! 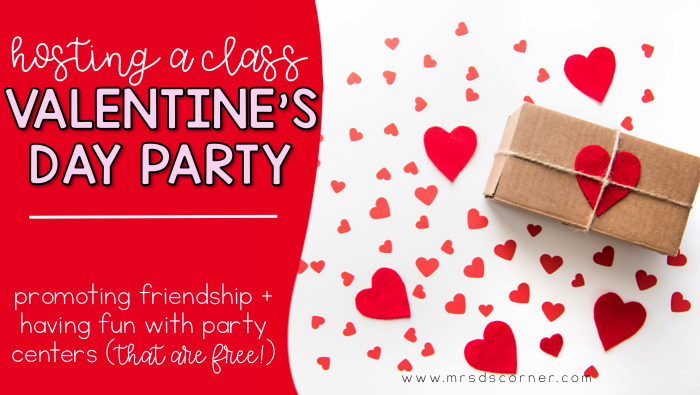 One benefit of having a friendship party for Valentine’s Day is that you can use the activities to strengthen friendships among your students… in your classroom and the regular ed classroom. The key to a successful Valentine’s Day party is to make sure that you have plenty of time to plan for the event. First, know that you don’t need to do all of the work by yourself! Start by sending an email or note home asking parents if they’d like to help throw the party. Make a list of tasks you want parents to help with, whether it’s donations needed, decorations, or having one parent take control of it all. Delegating some of the work is the most important thing that you can do to ensure that you don’t overload yourself. Bonus, it is a good idea to have extra hands to help supervise the day of the party. Last, look for ways that you can incorporate craft activities into your lesson plans, allowing your students to be involved. Create decorations that incorporate fine motor skills and can be hung around the room on the day of the party. Pay attention to how your students are feeling on the days and weeks leading up to the holiday. You know your students! Some of your students may feel stressed or anxious about Valentine’s Day because they don’t feel well-liked or don’t have friends… so it is important to make sure that everyone receives the same amount of Valentine cards from other students (if students are permitted to hand out cards). As you are planning a friendship party, you’ll also want to make sure that you plan activities that will involve everyone, regardless of skill level. Look for ways to accommodate the needs of the all of your students, so that everyone can participate. Conversation Heart Math: Use the conversation heart candies for a fun math game. The students can practice counting, addition, and subtraction, sorting, colors, graphing… and so many other skills with the candy hearts. Pin the Heart: This game is similar to “Pin the Tail on the Donkey,” except you can use hearts and a tree. Put a big tree on the wall, then give each student a heart with a piece of masking tape. Have them take turns being blindfolded, spun around, and then they can try to put the heart on the tree without looking. 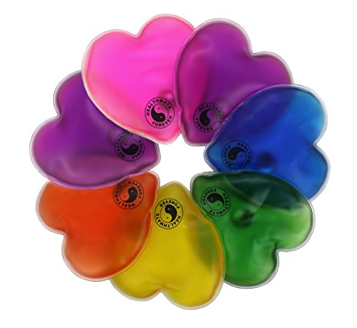 Hot and Cold: Use a heart-shaped object, like this set of heart therapy packs, to play hot and cold. One student waits in the hall while the object is hidden in the classroom. Then, the other students guide the person to find the heart by indicating how “hot” or “cold” they are in proximity to the hidden item. Crafts: You can never go wrong with a holiday-themed craft! Read this list of 27 Valentine’s Day crafts for any classroom to find new crafts. Cookie Decorating: Sugar cookies, frosting, and sprinkles can be a fun activity and a treat for the day. Be careful to check for food allergies, to ensure that the ingredients are safe for all students in attendance. 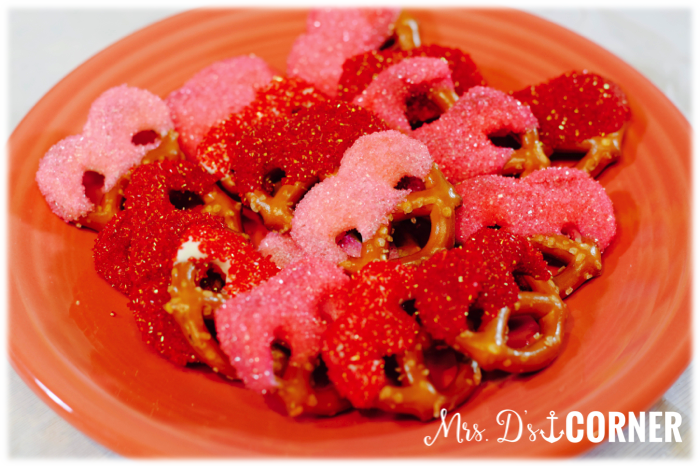 Chocolate Dipped Pretzels: If you want to incorporate cooking in the classroom for your party, making chocolate dipped pretzels is super easy and so much fun! The visual recipe makes it easier than ever for students to follow along during the recipe, with comprehension questions to follow the activity. The biggest part of most Valentine’s Day parties at school is centered around the card exchange. You can plan a craftivity for making card boxes out of empty tissue boxes (which, by this time of year, all teachers have a surplus of, ha! )… there are tons of ideas on Pinterest, or you can have students decorate with markers, glitter, and other craft supplies you already have in your classroom. Students can bring in Valentine’s the week leading up to the party (I like to give this option to parents and students, that way there is plenty of time and the cards aren’t forgotten in the excitement the day of the party). It is important that the students include all of the friends in the room, instead of selecting a few people to give cards to. You could keep a few extra boxes of cards in your closet, in case you have students in the classroom that forget to bring cards, or may not be able to afford their own. Think ahead and shop the day after Valentine’s Day to find cheap cards that can be used next year. What is reassuring after each holiday season, is knowing you can use the same plan over and over again. Take a minute to think about what parts of the party went well and think about how and why they worked. Grab a sticky note and jot down your thoughts, and add this sticky to you monthly folder, lesson planner, or file cabinet files for the month… that way you know just where it is next year.